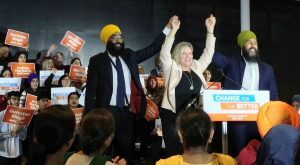 Gurratan Singh, NDP Leader Andrea Horwath and Jagmeet Singh. 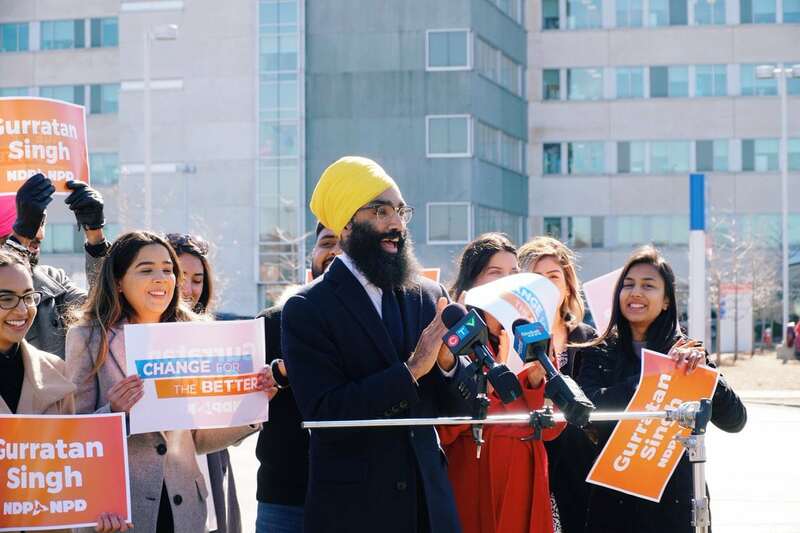 GURRATAN Singh, 33, the younger brother of federal NDP Leader Jagmeet Singh, is the Ontario NDP candidate for Brampton East, a newly redrawn riding, for the June 7 provincial election. Gurratan, a criminal defence lawyer who graduated from Osgoode Hall, ran for a Peel Regional Council seat in Brampton in 2014, but narrowly lost to his opponent. Jagmeet had represented the former constituency, Bramalea-Gore-Malton, for six years. NDP Leader Andrea Horwath and Jagmeet welcomed Gurratan’s nomination on Monday night. Gurratan chairs the city of Brampton’s inclusion and equity committee.